River cruising is on the crest of a wave, as more of us discover the joys of sailing through majestic landscapes into the very heart of the world’s great cities. Where will your journey take you? Here’s our guide to ten of the greatest waterways on earth. Winding its way through six countries – Switzerland, Liechtenstein, Austria, Germany, France and the Netherlands – the 776-mile Rhine is the number one river for cruise holidays and a great starting point for first-timers. The most popular stretch is between Amsterdam and Basel (right), where the landscape of steep vineyard slopes, fairytale castles and medieval towns provides an ever-changing panorama, with highlights including the UNESCO-listed Upper Middle Rhine Valley and legendary Lorelei Rock. Cruises can be booked to coincide with annual events such as the spectacular Rhine in Flames firework festival celebrating the wine harvest. a UNESCO World Heritage Site between the Austrian towns of Krem and Melk, is particularly stunning. City highlights include elegant Vienna (left), with its grand palaces and dancing white Lipizzaner horses, and the Hungarian capital Budapest, divided in half by the Danube and spanned by the landmark 19th century Chain Bridge designed by English engineer William Tierney Clark. 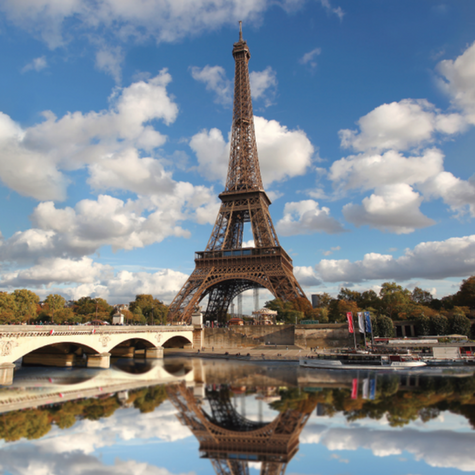 The romantic, watery heart of Paris is also the start and finish point for the majority of Seine itineraries. Ships provide passengers with some of the best views in town as they moor close to classic sights such as the Eiffel Tower (above). Seine cruises meander through picture- postcard scenery towards the Normandy coast, taking in sights such as Rouen, the capital of the region, which is known as the city of a hundred spires. Poignant wartime history is also explored with excursions to the Normandy landing beaches. Meandering through Germany’s wine-growing heartland, the Moselle is one of the Rhine’s longest tributaries. Many cruises start from medieval Koblenz, overlooked by a fort and situated at the confluence of the two rivers. Quieter and narrower than the Rhine, the Moselle snakes past towns including Cochem (pictured), one of the prettiest spots on the river with a castle perched on a 300ft promontory – the highest fortress on the river – and a charming old town filled with half-timbered houses. 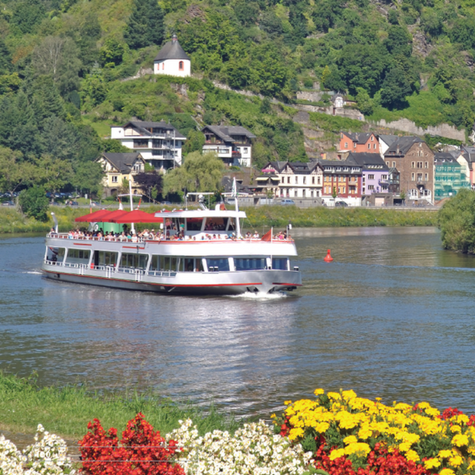 Passengers can opt for a dedicated Moselle cruise, or a Rhine itinerary that combines the two. One of Europe’s lesser known rivers, the Douro rises in Spain and winds through rugged and dramatic green landscapes until it reaches the sea at Porto, Portugal’s second city and home to the country’s famous port houses. Once a wild, turbulent waterway, it has been tamed by five dams and the world’s deepest lock (sailing through this is an incredible experience). Cruises include time to explore the World Heritage city of Porto and take a trip on a traditional Rabelo boat, while excursion highlights include a day trip to the “golden” Spanish city of Salamanca. The beautifully restored city of Dresden (right), celebrated by Italian painter Canaletto as “Florence on the Elbe” is among the must-see sights on the river flowing through Germany and the Czech Republic. Cruises run between the culture-rich cities of Berlin and Prague, and in between are the vineyards of Saxony and rocky landscapes of the soaring sandstone massif south of Dresden. The delightful town of Meissen is renowned worldwide for its fine porcelain, and excursions include a visit to the factory to see local craftsmen at work. 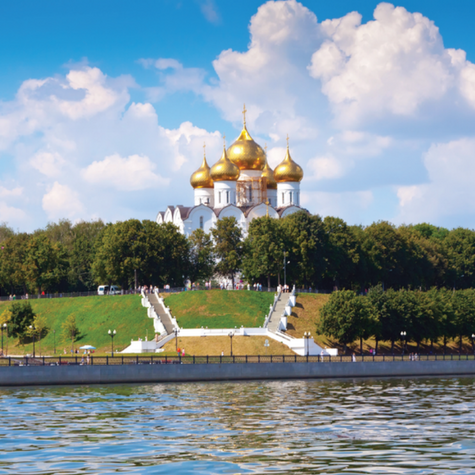 The BBC’s recent adaptation of War and Peace triggered an interest in all things Russian, and you can see sights featured in the series, and much more, on a cruise from Moscow to St Petersburg along the Volga and Russian waterways. The voyage includes a crossing of Lake Ladoga, Europe’s largest lake. From the Kremlin and Red Square to the opulent Catherine Palace and treasure-filled Hermitage museum, Russia’s rich culture is yours to discover. Other highlights include the wooden Transfiguration Church on Kizhi Island and the “Golden Ring” towns of Yaroslavl (right) and Uglich, which have played a key role in Russian history. 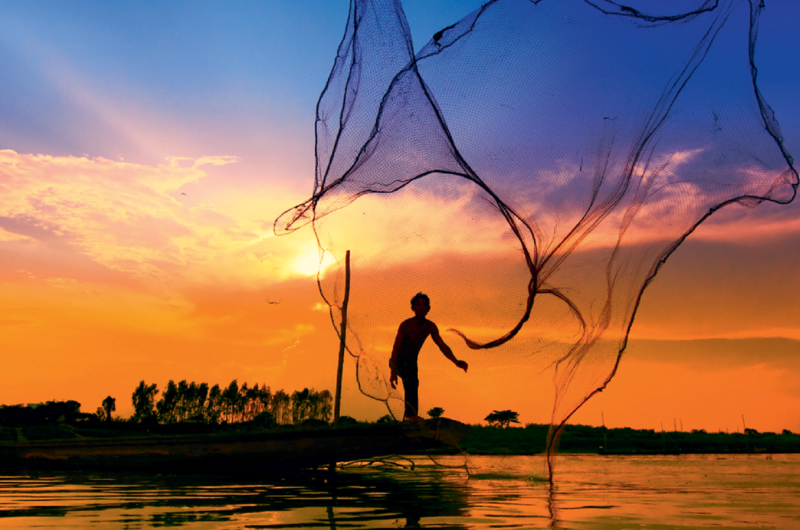 Traversing the entire width of China, the 3,915-mile Yangtze is Asia’s largest river. This mighty waterway, in a country that was closed to the outside world for centuries, delivers a real voyage of discovery. The most memorable stretch is the 150-mile Three Gorges region (left), boasting spectacular landscapes of misty mountains, sheer cliffs, lush green bamboo groves and serene river banks. A tour of the Three Gorges Dam – 610ft high and running 1.3 miles from bank to bank – provides a close-up view of the world’s largest engineering project, and river ships take four hours to navigate the five locks. The “Mother of Rivers” is southeast Asia’s longest waterway and provides an unforgettable experience in two countries. River cruises typically cover the 416 miles from Siem Reap in Cambodia to Vietnam’s Ho Chi Minh City. 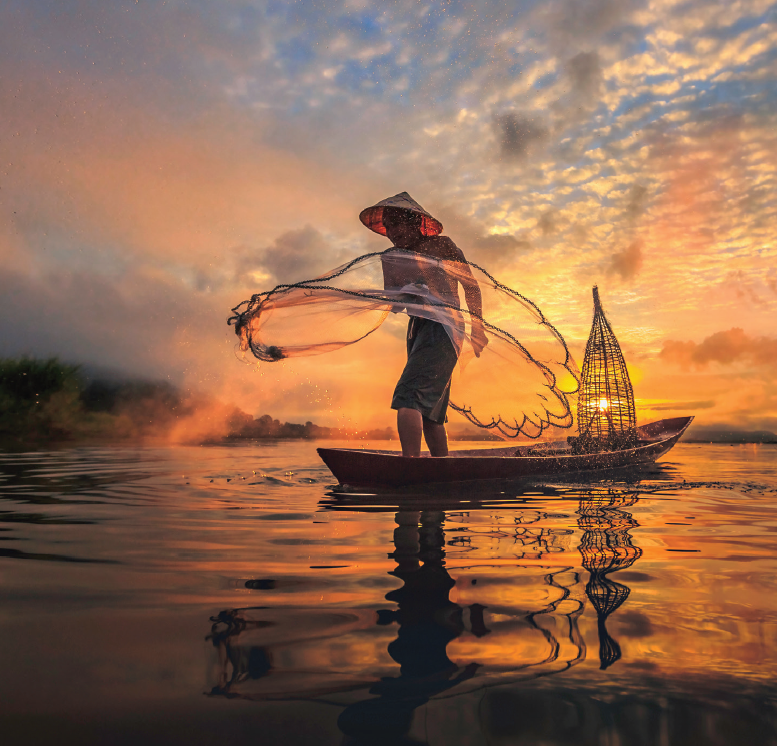 Each day brings new sights, from jam-packed cities with grand palaces to floating fishing villages and lush rice fields lining the fertile river bank. Excursions feature the imposing temples of 12th century Angkor Wat, the world’s largest religious complex, including Angkor Tom, where 172 faces of Buddha adorn the towers, and mysterious Ta Prohm where huge tree roots entwine the buildings. A decade ago Burma, now known as Myanmar, was a destination for the intrepid few, but political stability and a growing tourism infrastructure have opened up this beguiling country to visitors. The country’s longest river takes passengers on a waterborne journey on the “road to Mandalay”, starting from the former Burmese capital Yangon. The small river boats stop at villages where time stands still and curious, giggling youngsters follow tour groups in Pied Piper-fashion. The Irrawaddy is lined by hundreds of glittering temples and pagodas and the highest concentration of these, on the plains of Bagan, is an unforgettable sight.